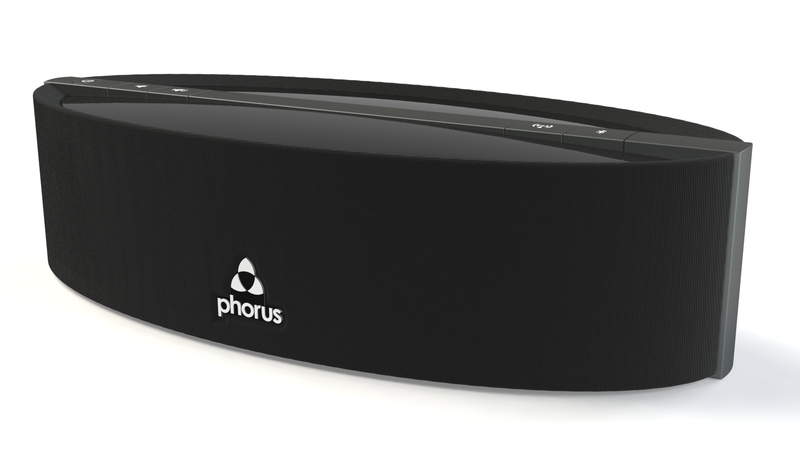 ENCINO, Calif. (October 16, 2014) – Phorus, a subsidiary of DTS, Inc., introduced today the Phorus PS5 Speaker with DTS Play-Fi technology.As the first company to bring a DTS Play-Fi enabled speaker to market, Phorus set a new standard in the audio industry by streaming lossless, high-quality audio from iOS®, AndroidTM and Windows® PCs to multiple rooms and from multiple users simultaneously using standard Wi-Fi. Now, the company is once again delivering an impeccable wireless home audio experience at a remarkably affordable price by introducing its next-generation Phorus PS5 Speaker, complete with a new, elegant design and cutting-edge platform compatibility. With DTS Play-Fi technology, the Phorus PS5 Speaker streams high-quality audio with lossless accuracy over Wi-Fi, allowing the user to create a whole home audio system with literally just a few touches. Use the elegant, easy-to-use Phorus App for Android, Kindle FireTM and iOS to set up and control the speaker and enjoy integrated streaming of locally stored music, music from DLNA servers, Internet Radio from around the world (including local AM/FM stations and BBC, WSJ®, Radio Disney®, and ESPN Radio®), and popular music services such as Pandora®, SiriusXM®, Songza®, Deezer®, KKBox®, QQMusic and more. Notably, with the DTS Play-Fi HD Driver for Windows, users can stream music from any application on a PC, including Google MusicTM, Spotify®, and Xbox® Music Live, to all the Play-Fi enabled speakers in your home. 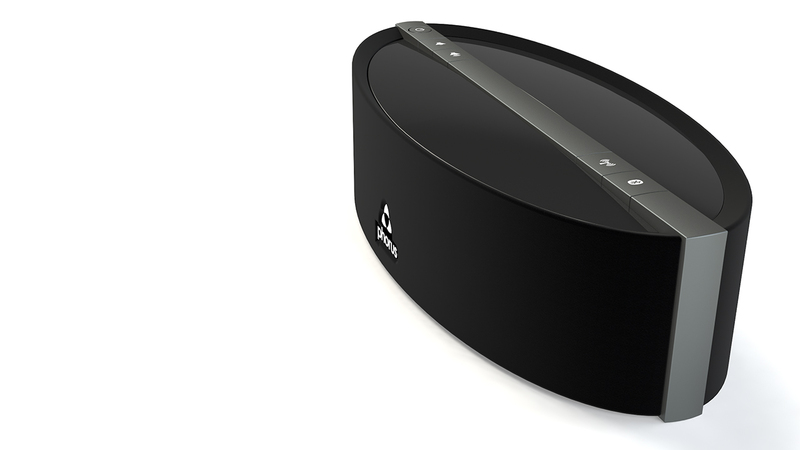 In addition to Play-Fi’s multi-room, multi-zone and multi-user features, the Phorus PS5 Speaker supports direct streaming via Bluetooth® (including AptX and AAC codecs), for Windows phones and other devices, and accepts AirPlay® streams from OSX®, iTunes®, and iOS devices, meaning no one at home will miss out on the convenience of wirelessly streaming music from his or her favorite apps and devices. Wi-Fi streaming is handled by the latest 802.11a/b/g/n radio which supports both 2.4GHz and 5GHz frequency bands. The PS5 avoids pesky interference from microwaves, radios, security cameras, and other common household devices for uninterrupted listening. Featuring premium DTS Sound, the PS5 is custom tuned for peak performance. Renowned DTS post-processing restores rich details, enhances bass and gets maximum volume from your music. An advanced dual-core DSP and Class-D digital amplifiers dynamically deliver incredible sound quality at every level. Consumers can get a first glimpse of the Phorus PS5 Speaker in action in the new music video “Monsters Calling Home” from popular Nettwerk® Music Group Recording Artist Run River North. The new video launched today at http://bit.ly/1ngfdvx. In March of 2014, the Indie pop ensemble released their self-titled album on iTunes and is currently on tour across the U.S. The Phorus PS5 Speaker will be available online at Phorus.com, Amazon® and other retailers this December for $229. The PR5 Receiver, a prestigious CES Innovations 2014 Design and Engineering Award Honoree, is available now online at Phorus.com and Amazon for $179. The Phorus PS5 Speaker and PR5 Receiver are fully compatible with the full line-up of other DTS Play-Fi enabled products available now from leading audio brands at major retailers everywhere. DTS, Inc. (Nasdaq:DTSI) is a premier audio solutions provider for high-definition entertainment experiences—anytime, anywhere, on any device. DTS’ audio solutions enable delivery and playback of clear, compelling high-definition audio, which is incorporated by hundreds of licensee customers around the world, into an array of consumer electronic devices. From a renowned legacy as a pioneer in high definition multi-channel audio, DTS became a mandatory audio format in the Blu-ray Disc® standard and is now increasingly deployed in enabling digital delivery of compelling movies, music, games and other forms of digital entertainment to a growing array of network-connected consumer devices. DTS technology is in car audio systems, digital media players, DVD players, game consoles, home theaters, PCs, set-top boxes, smart phones, surround music content and every device capable of playing Blu-ray™ discs. Founded in 1993, DTS' corporate headquarters are located in Calabasas, California. DTS also has offices in Los Gatos and Santa Ana, California, Washington, China, France, Hong Kong, Ireland, Japan, Singapore, South Korea, Taiwan and the United Kingdom. Copyright 2014, Phorus, Play-Fi, DTS, Inc. DTS, the Symbol, and DTS and the Symbol together are registered trademarks of DTS, Inc. All other trademarks are the properties of their respective owners. All rights reserved.